An Airport Council International World Security Meeting was being held in Munich, Germany during September 2011 so I travelled over to allow myself some time visit Amsterdam as well ahead of the meeting, It was convenient that the meeting coincided with German Oktoberfest as well – simply an accidental booking conflict I’m sure? I flew Sydney, Singapore, London, Amsterdam, Munich – return. What a long and exhausting journey. Amsterdam was a unique city. I also got to tour the airport and check out their security procedures. I stayed in the centre of town to explore and soak up the atmosphere. What a challenge to find the small hotel, the taxi driver had no idea and wanted me to just get out of the cab – as we argued I noticed the sign for the hotel and alighted. I spent my weekend exploring the streets, taking in the cafe’s, canals and soaking up the atmosphere and sampling the food. The is so many canals that cross the city – like Venice. The time in Munich was spent in meetings and airport operations tours. But in the evenings we toured the city, had dinner, stopped for beer in the famous beer hall and one night headed to the famous beer festival. 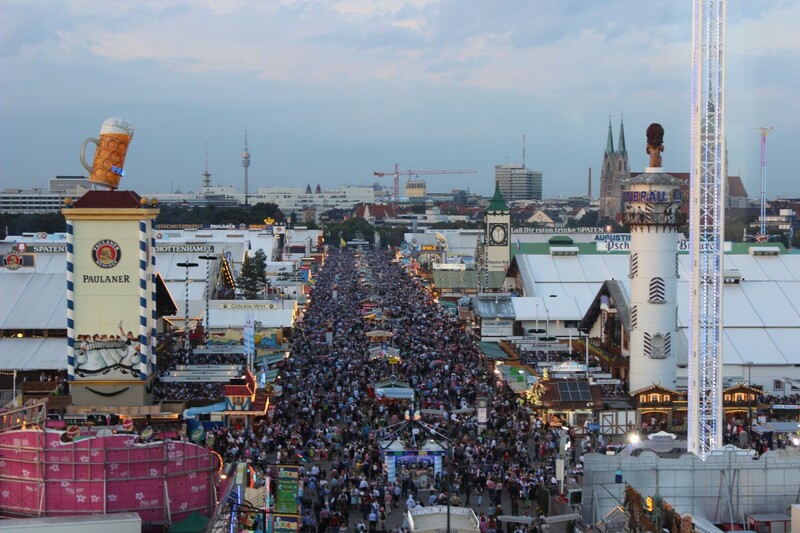 Then Oktoberfest – a sea of people and beer. What was amazing was the friendly and lovely mood of the crowd with lots of beer under their belt. It was a huge place with tents and tents of beer halls full of lively music, food and washed down with lots of cold ale. While I had been in Germany many years previous I had not been to Munich. It was a nice time, great company and good work done. I wouldn’t mind returning to this part of the world again.